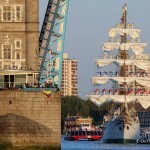 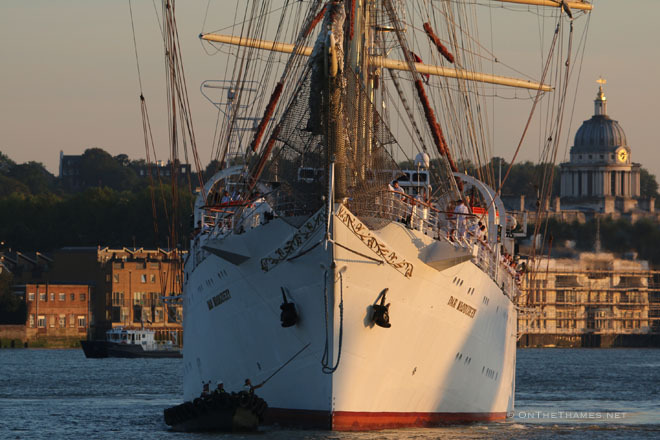 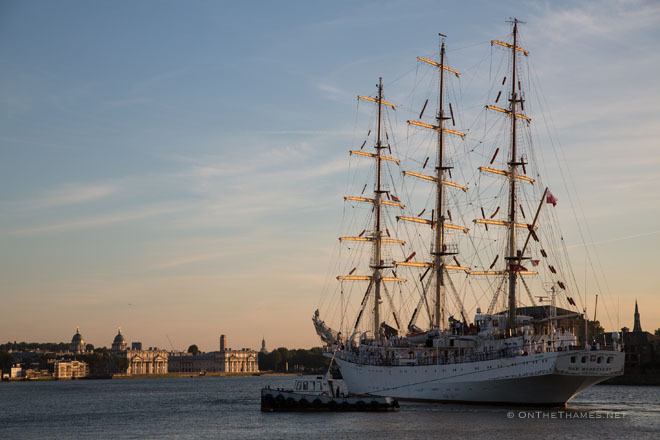 THE STUNNING Polish sail training ship DAR MLODZIEZY arrived in the capital on Wednesday evening shortly before sunset. 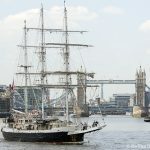 The 109-metre three-masted vessel is in London for the Falmouth to Greenwich Tall Ships Regatta. 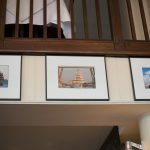 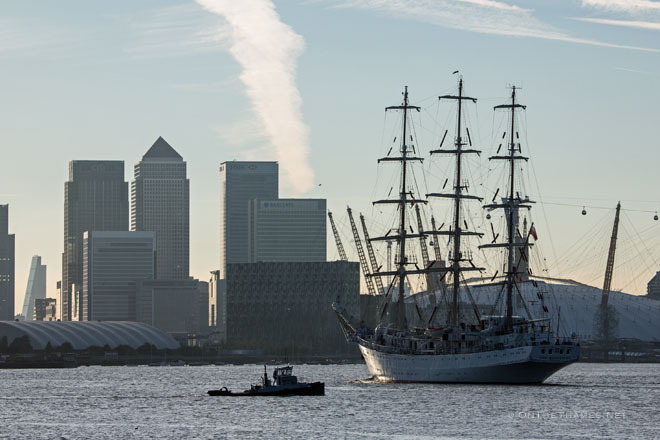 The tall ship is the largest of the approximately fifty vessels taking part in the regatta - the biggest such gathering of Tall Ships on the Thames for twenty-five years. 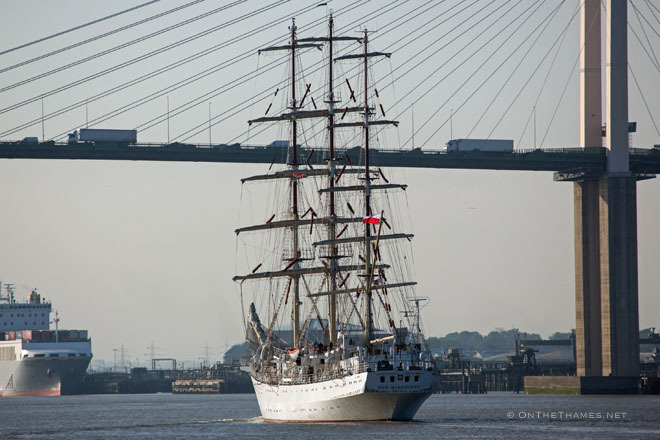 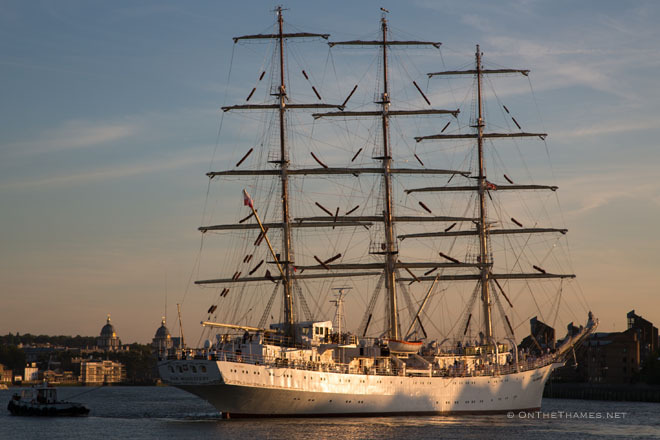 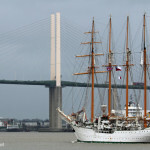 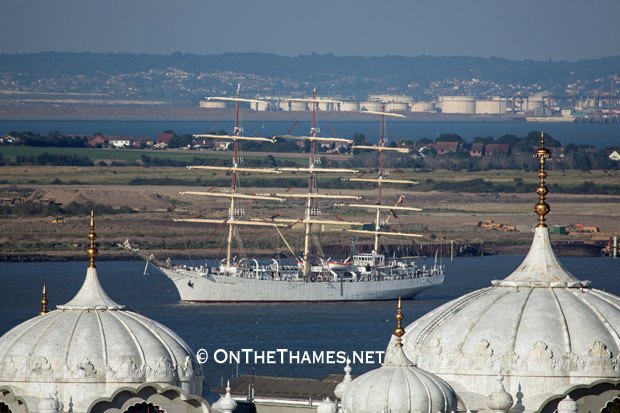 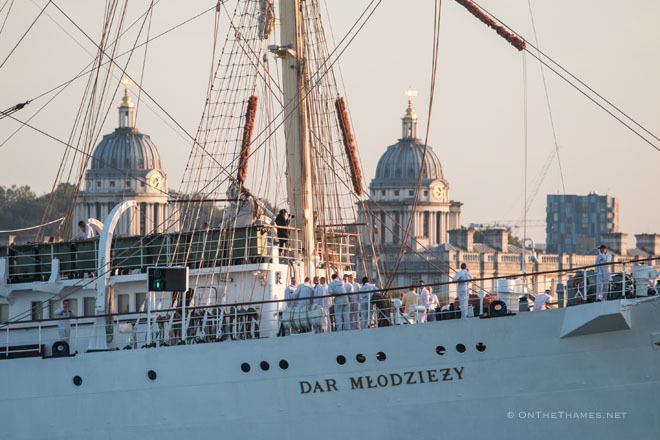 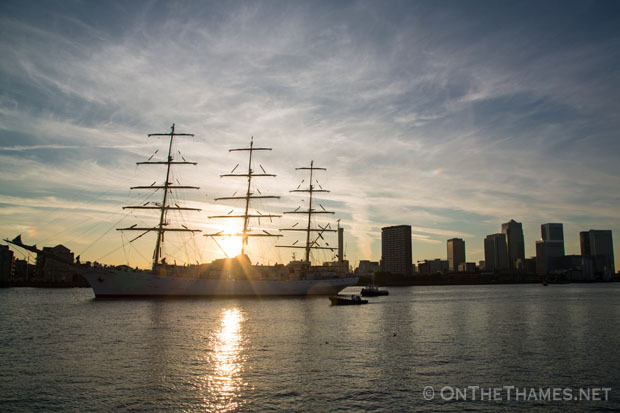 Dar Mlodziezy, which means "gift of youth" in Polish, has moored off of Enderby Wharf at East Greenwich and visitors can go on board during her stay by taking a special Thames Clipper service from Greenwich Pier. 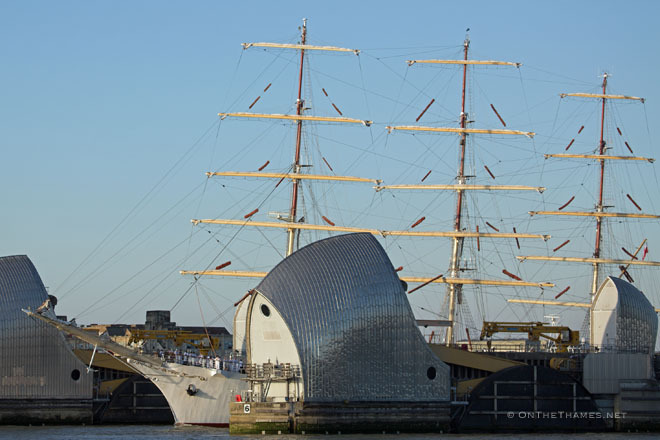 The Tall Ships Festival kicks off proper today with an official launch spectacular from a Catalan theatre group in the grounds of the Old Royal Naval College. 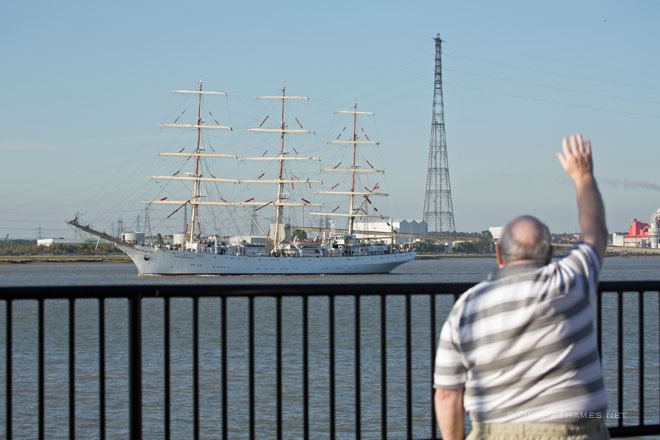 Activities continue across the weekend on the river and on land with tall ships moored up at Greenwich pier, Enderby Wharf, Victoria Deep Water on the Greenwich Peninsula and at Woolwich Royal Arsenal Pier. 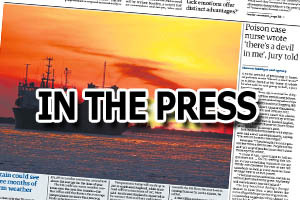 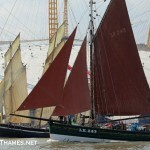 A 1000-strong parade of crew members will take place in Greenwich on Saturday afternoon. 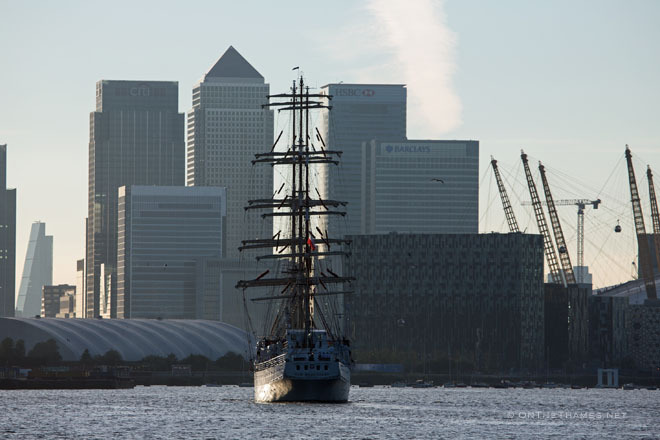 Paying customers can sail on a tall ship from Woolwich with Sail Greenwich who are back for their third year. 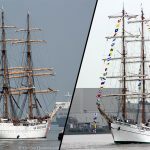 On Tuesday 9th, all the ships will muster at Greenwich before sailing down the river at 1.30pm in what should be a spectacular and memorable parade of sail.